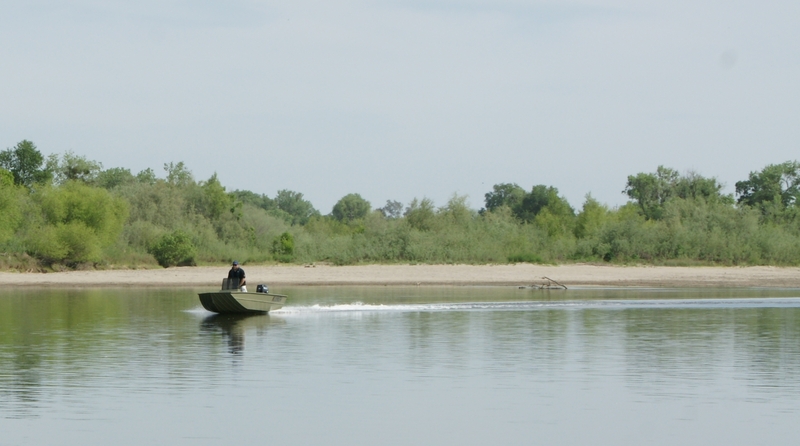 We call it a “Jac” because it’s better than an ordinary Jon boat; it’s an all welded boat that will provide the stability for hunting and shallow water work and stand up to rugged use. The extra width and depth of the Wide Series Jacs provides additional stability and buoyancy. This helps keep you dry and allows for larger payloads and larger motors. 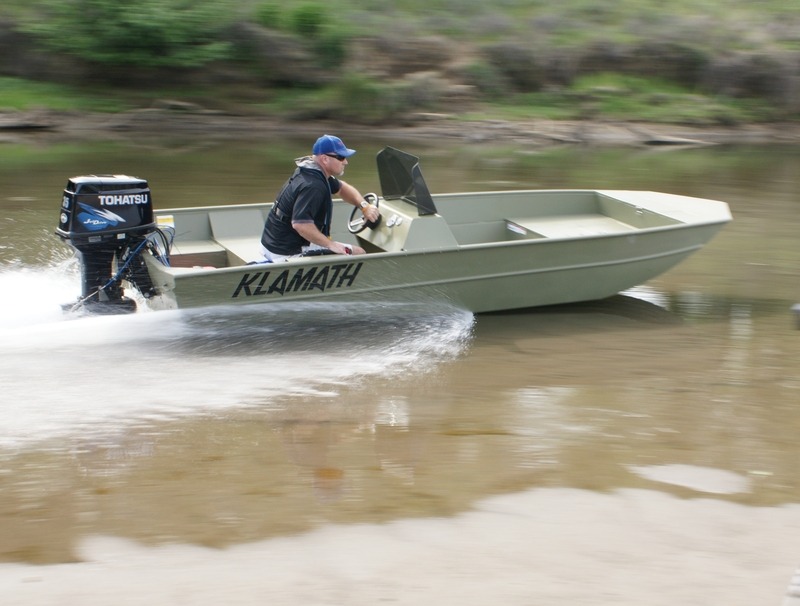 The Klamath welded flat bottom boats are strong as an Ox and light as a feather. No one designs and welds them as precise or keep them this light. 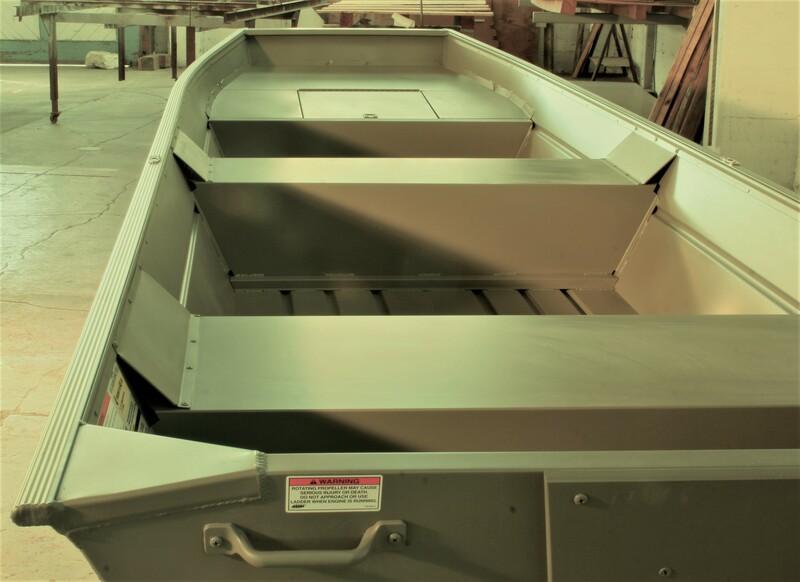 Welded corner caps, heavy extruded gunnel, multiple formed in stiffeners, extra strong knee bracing, and solid block foam help our flat bottom boats handle the worst abuse. 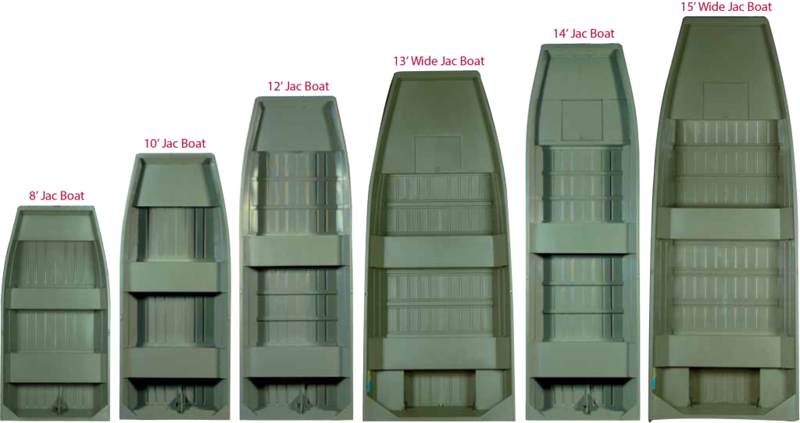 Precision welding sets our boats apart from the other cookie cutter boats. Numerous heavy extruded hat sections score the entire length our the hulls. For use with a jet pump or propeller. On skinny or deep water, these hulls will get up and move effortlessly. 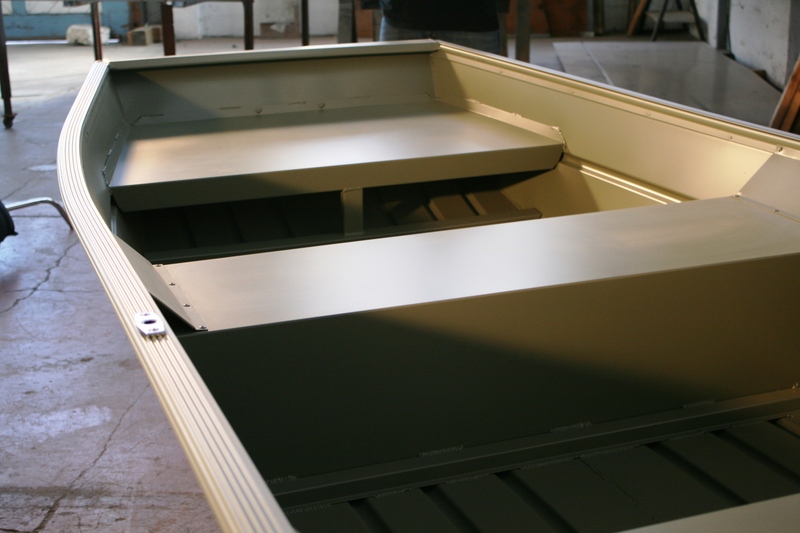 All JAC Boats are available in painted OD Green inside and out, or painted inside only, unpainted out. 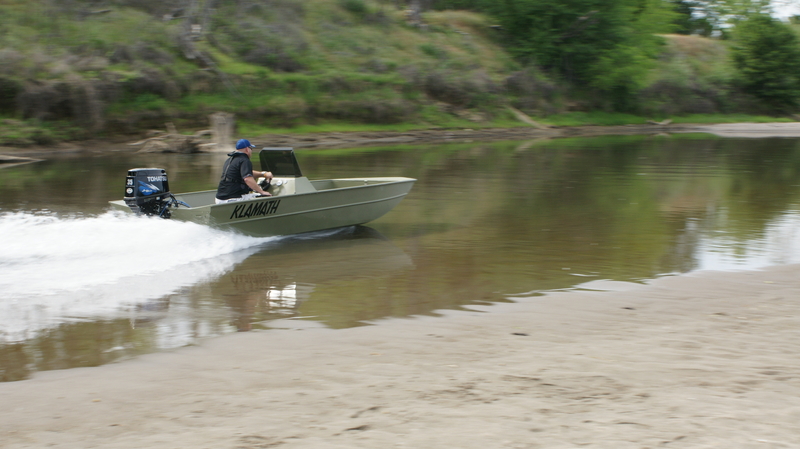 Confidence to roam on the water and go anywhere you want. 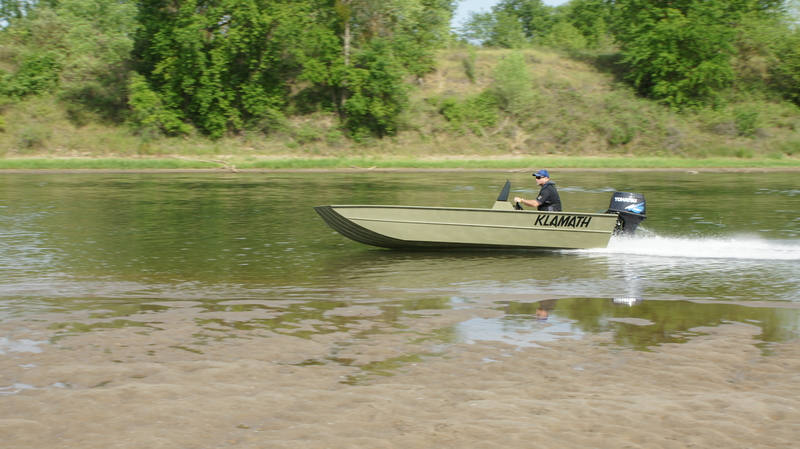 Available in tiller steer, right side console, or center console option. 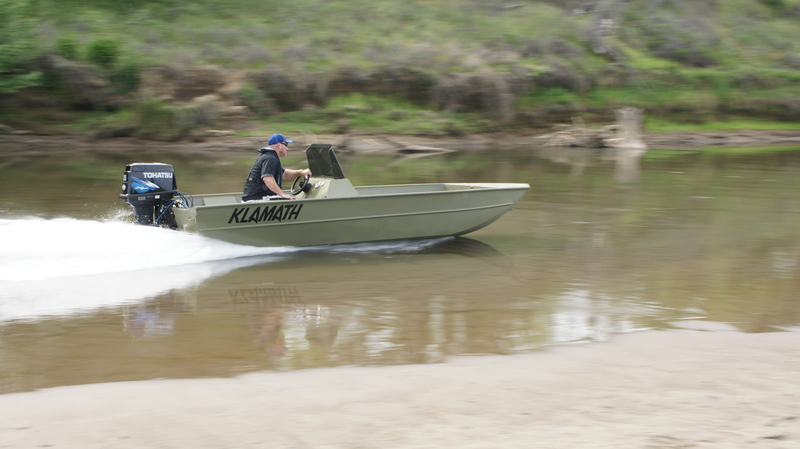 Owners that use this specialized equipment are not expecting a nice day on a calm river. Hard working sportsman want hulls that will not fall apart. 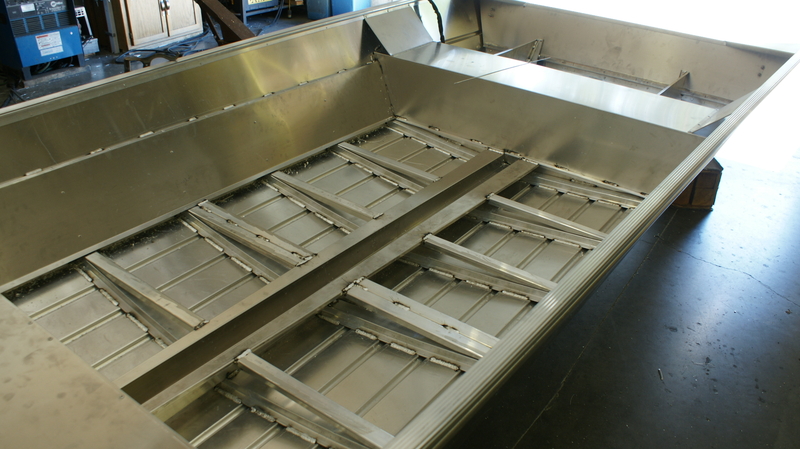 This is our flat bottom boat, all hand welded, pin point fabrication, and exceptional design. 16 Double JAC.